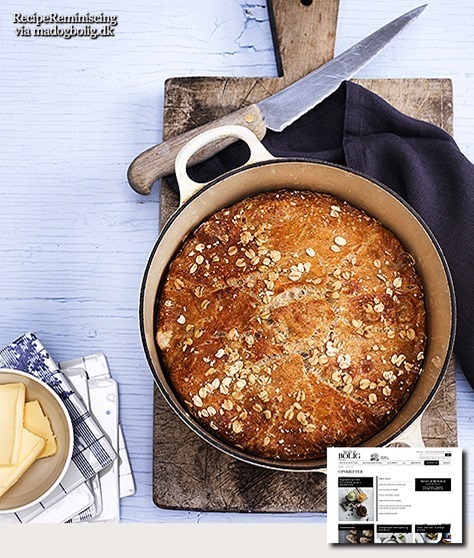 The secret with the world’s most juicy bread is that it is baked in a pot in the oven. You can also make a delicious pot of bread. Find a heavy stoneware po tin the cupboard, andmake this most delicious bread with few ingredients. When baking your bread in a pot with a lid, the moisture does not evaporate, but keeps the bread deliciously juicy. Pot bread have become hugely popular in recent years, because it produces a bread that reminds of real Italian bread – and without to much effort. If you do not already have a stoneware pot, now is the time to get one.